Matt Cutts, a Google engineer working on search quality, wrote at the Google Blog that Google has recently released a new spam detection classifier to help prevent “spammy on-page content” from ranking highly in the Google search index. None of this comes as a surprise, Matt told us Google would be stepping up their search quality efforts in 2011. 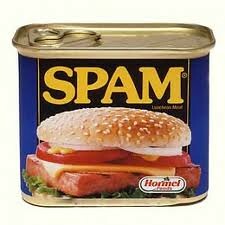 The new classifier was introduced based on Google seeing a “slight uptick of spam in recent months,” said Cutts. Matt Cutts did say that spam compared to five-years ago is at rates “less than half” as of now, but in the recent months, there has been a slight increase in spam impacting Google’s results. The redesigned document-level classifier will specifically make it harder for on-page spam to impact Google’s search index. Matt Cutts explained, “the new classifier is better at detecting spam on individual web pages, e.g., repeated spammy words—the sort of phrases you tend to see in junky, automated, self-promoting blog comments.” In addition, Google also has “radically improved” their methods of detecting hacked sites and they are “evaluating multiple changes that should help drive spam levels even lower, including one change that primarily affects sites that copy others’ content and sites with low levels of original content,” said Cutts. For more information, see the Google Blog and related stories on Techmeme.